MANILA, Philippines -Global stocks were mostly higher Thursday, after U.S. stocks were lifted by an uptick in oil prices. 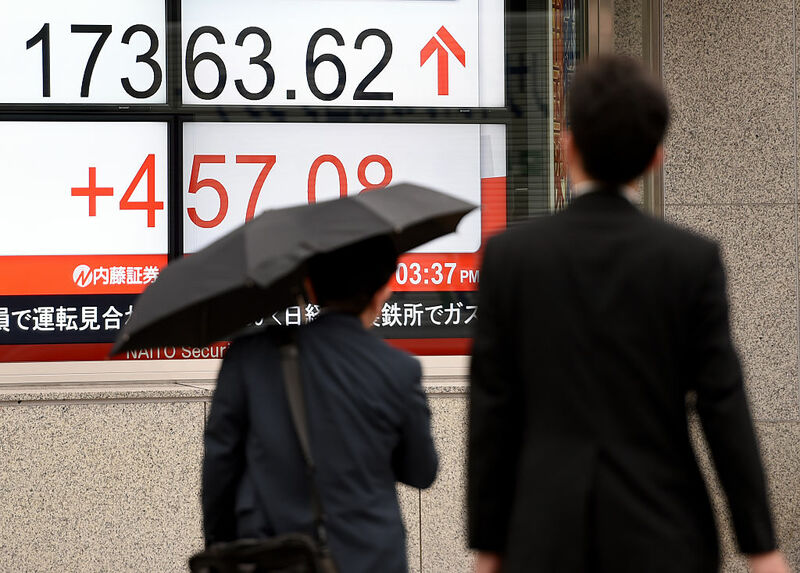 A weakening of the Japanese yen pushed Tokyo's benchmark 2.7 percent higher. Britain's FTSE 100 was down 0.2 percent at 6,394.78 in early trading. France's CAC 40 was down 0.1 percent to 4,588.31. German's DAX was up 0.2 percent at 10,440.67. Auguring a slow opening on Wall Street, both Dow and S&P futures were virtually unchanged. "Asian markets are breaking out," said Chris Weston, IG Chief Market Strategist. "Bulk commodities and oil ... are flying. This can't go on forever, but it's a freight train and not one I am prepared to get in front of." Japan's benchmark Nikkei 225 ended 2.7 percent higher at 17,363.62, as exporters' shares gained, since a weaker yen usually tends to boost their profits. Hong Kong's Hang Seng climbed 1.8 percent to 21,622.25. The Shanghai Composite index shed early gains, falling 0.7 percent to 2,952.89. Australia's S&P/ASX 200 rose 1.1 percent to 5,336.40. South Korea's KOSPI added 0.8 percent to 2,022.10. Southeast Asian markets were higher. Benchmark U.S. crude oil shed earlier gains, losing 6 cents to $44.12 a barrel in electronic trading on the New York Mercantile Exchange after a settlement of $44.18 a barrel on Wednesday. Brent crude, the international standard, edged 2 cents higher to $45.82 a barrel. The euro fell to $1.1291 from $1.1303 on Wednesday. The dollar fell to 109.77 yen from 109.85 yen.